Tell Me a Secret starts as a typical New Adult story with typical NA characters. She’s a virgin, shy, geek, insecure. He’s a player, super-hot, confident. But in the second part it turns into contemporary romance. This was a nice surprise for me, because the author allowed a peek into what happens once that couple is married. Writing in this story is simplistic; sentences are short as well as dialogues. There are no large and detailed descriptions, so the pace of the story is pretty fast, which is a plus. Beside this and the twist there are other things I liked about this story. I liked the interaction between hero and heroine and how they slowly fall in love, and how that love changes them. I loved the second part of the story, where heroine showed great initiative, and took the matter into own her hands. But there were also things I didn’t like. The characters: if they are real people I wouldn’t like to hang out with them. The heroine is too insecure for no reason, and co-dependent on the hero. The hero is too stubborn and too alpha for my taste. Although they are not my type of the people it is good that they are not perfect. The writer made a great thing showing to the readers their weaknesses and that way she makes them human. In spite of these issues, Tell Me a Secret is worth reading, especially if you are a fan of this genre and you are looking for a story with a twist. 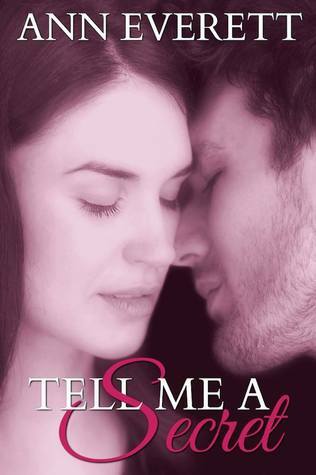 Tell Me a Secret is not the best New Adult book that I read, but it is worth reading, especially if you are a fan of this genre and you are looking for a story with a twist.